BACKGROUND: Although our Parish was formally created over 100 years ago with the appointment of the first pastor in 1890, the history of the Catholic Church in this area began in the early decades of the nineteenth century. 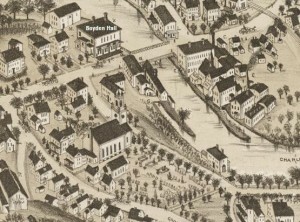 Men and women from Ireland first came to work in the mills and factories of Lower Falls and, later on, on the railroad being constructed through Wellesley to connect Boston with other Massachusetts communities. 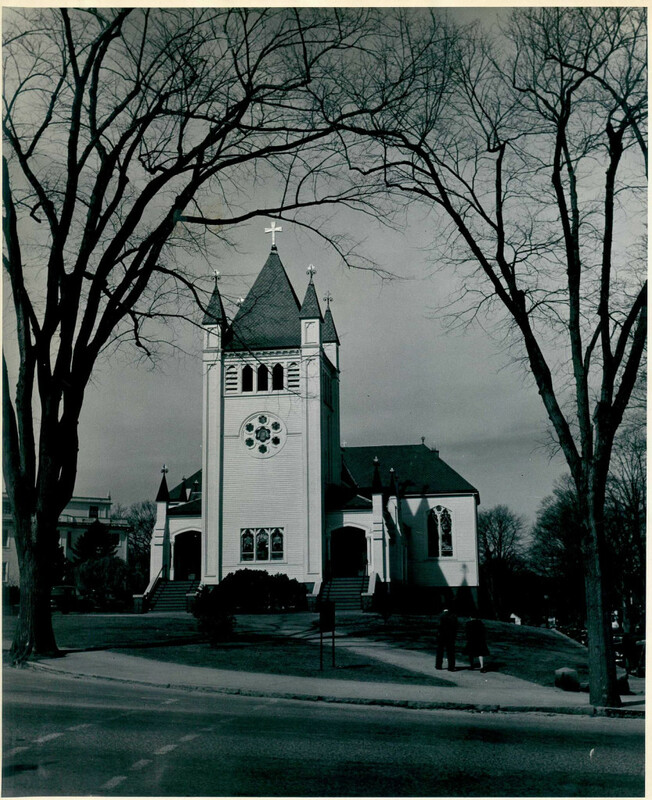 By the time of the Civil War, there were about 50,000 Catholics in the greater Boston area and probably about 500 living in what is now the area of St. John’s parish. The nearest church was in Watertown, so on Sunday morning those who were not fortunate enough to own a horse and wagon made the long trek on foot down Washington Street to hear Mass at St. Patrick’s Church. 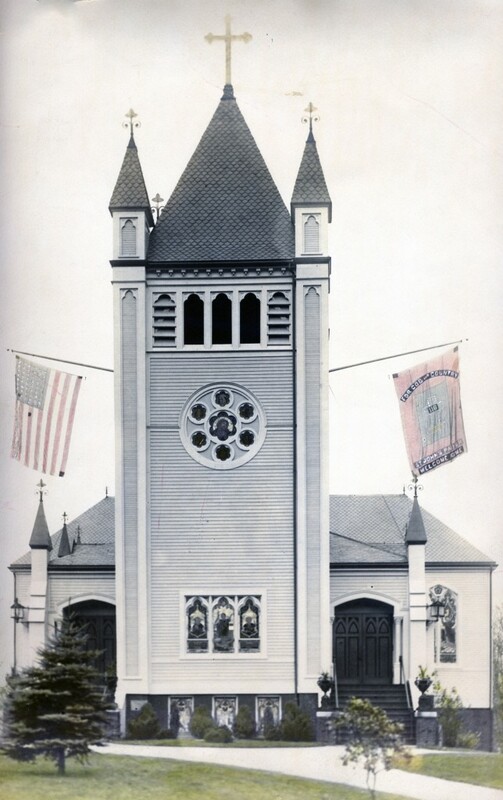 1867 A MISSION CHURCH: In 1865, Father McCarthy from St. Patrick’s began to say Mass once a month in a hall in Newton Upper Falls, and soon was able to build a church. 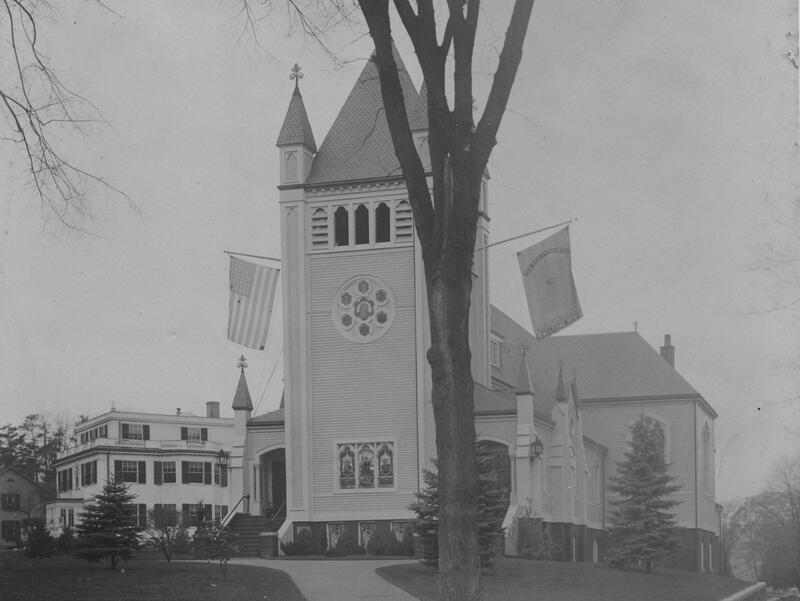 St. Mary’s Church in Upper Falls (now Mary Immaculate of Lourdes) was completed in 1867, and became the first Catholic church in Newton. Father Michael Dolan of St. Mary’s quickly established a mission in Lower Falls; the first Mass was celebrated in 1867 in Boyden Hall in the building now occupied by the Lower Falls Wine Company. 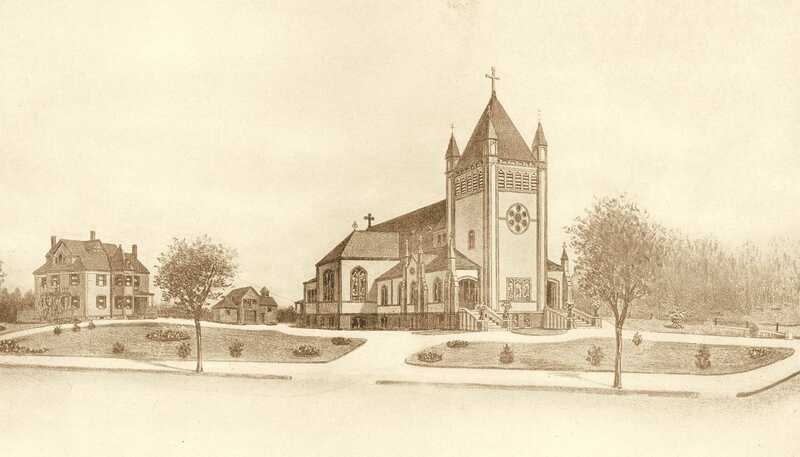 1890 THE FOUNDING OF OUR PARISH: St. John’s would remain a mission of St. Mary’s in Upper Falls for 9 more years, until 1890, when a committee of three men–Daniel Warren, John Dolan and Patrick Ryan–met with Archbishop John Williams to request a separate parish for the people of Newton Lower Falls and Wellesley. 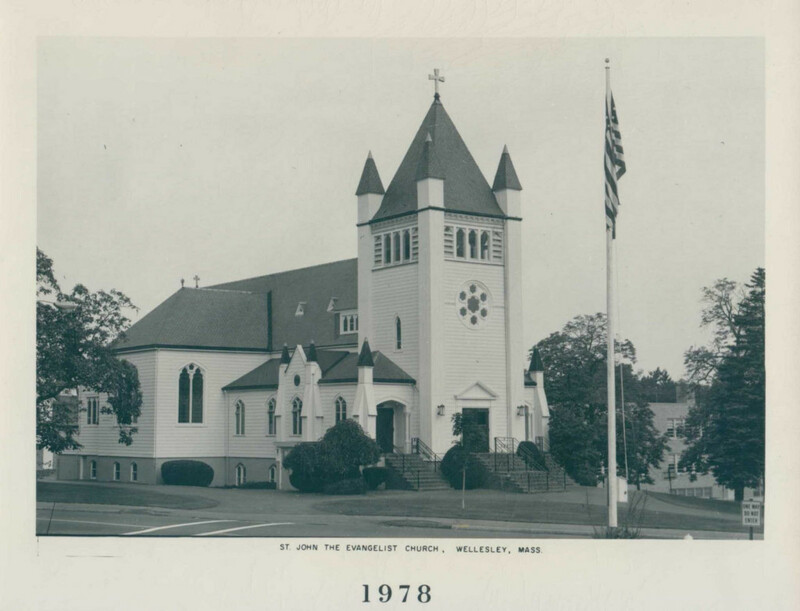 On November 21, 1890, St. John the Evangelist Parish was established, with Rev. Patrick Callanan as the first pastor. 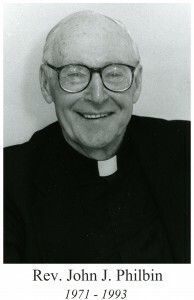 Father Callanan was a very aggressive organizer and the first five years of St. John’s Parish were filled with growth. 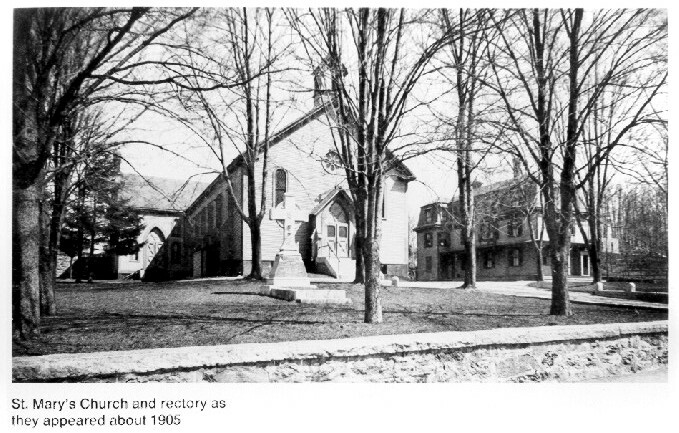 By 1895, there was an average of 700 people attending Mass each Sunday at St. John, and 165 children attending the weekly Sunday School. In 1901, the tower and transepts were added, the modest church was completely overhauled and beautified, a rectory and stable were built, and the grounds were graded, all at a cost of $17,200, which was raised before construction was finished from a total congregation of about 300 families. By the turn of the century, the diocese of Boston became one of the largest and most vigorous in the country. St. John’s, like all parishes of the period, had a variety of organizations aimed at binding its members both spiritually and socially. For women, there was a very large Rosary Society and the Sodality of the Blessed Virgin Mary, and for the men, a somewhat smaller Holy Name Society and, a bit later, a chapter of the Knights of Columbus (which had been founded in New Haven in 1882). Parishes throughout the Boston area often competed with one another in creating activities for their members–athletic teams, reading clubs, dramatic and musical productions, picnics, and fraternal organizations. 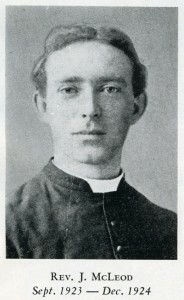 1912 OUR SECOND PASTOR: In 1912, Father Callanan was transferred and was succeeded by Rev. Leo Knapp, who served as pastor for the next ten years. During his tenure, the rectory was remodeled, with the third floor added. 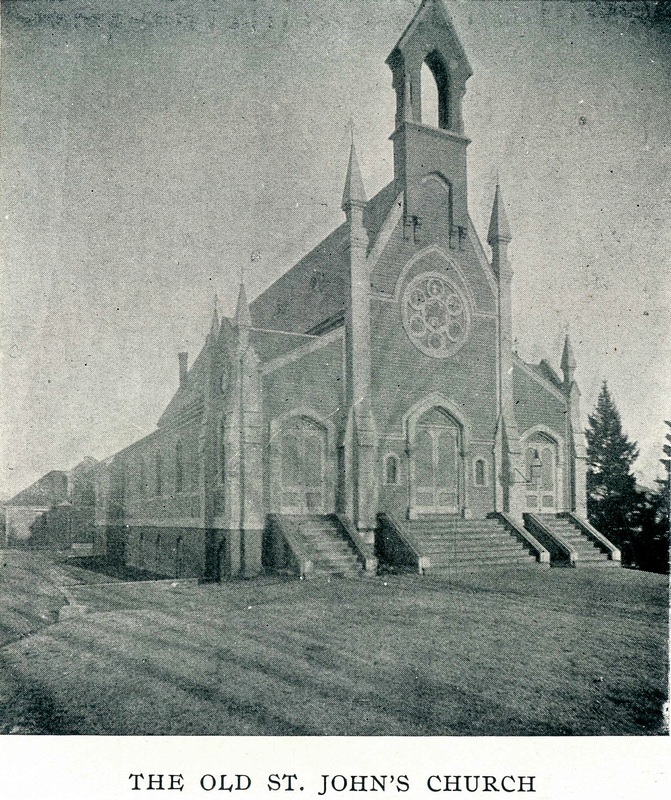 St. Paul’s Mission Church was established in 1916, and with Father Knapp’s departure in 1922, St. Paul’s became an independent parish. In this photo, taken in 1918, flags commemorating the end of World War I and welcoming home the troops hang from the tower (click on the picture to see a larger version.) Note the three stained glass windows at ground level on the front of the tower. These windows were removed when the center doors were added in 1957. 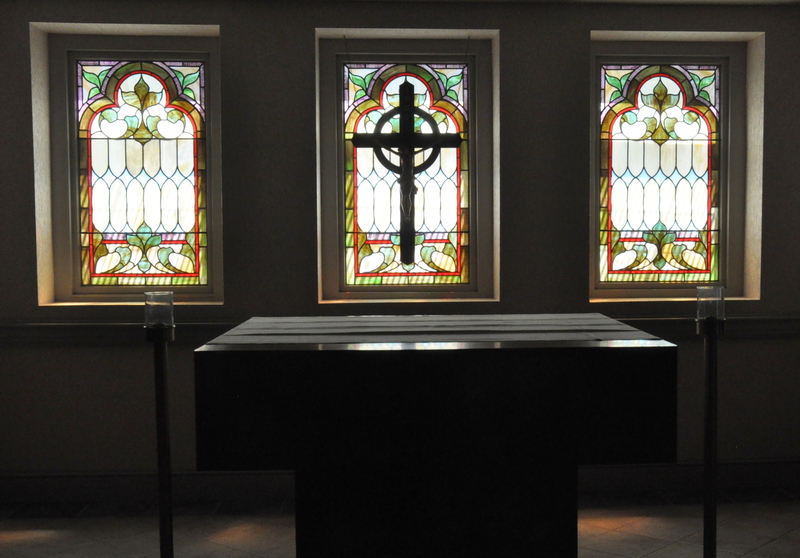 They were discovered in storage during the 1999 renovation, and were installed in the new chapel as seen below. 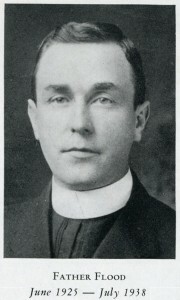 1923 OUR THIRD PASTOR: Rev. 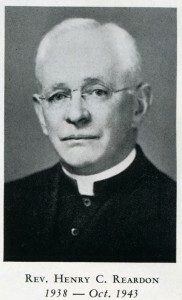 J. McLeod, who had been a curate at St. John’s, succeeded Father Knapp as pastor. Unfortunately, Fr. 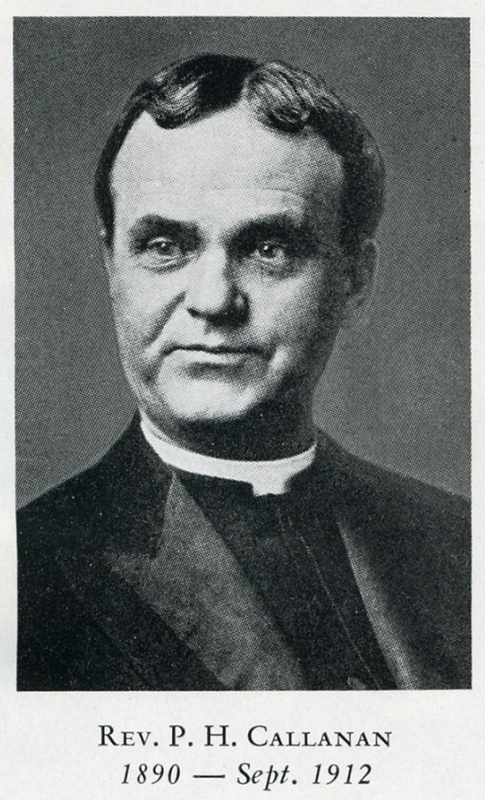 McLeod died after serving only one year, and was succeeded by Rev. Joseph Flood. 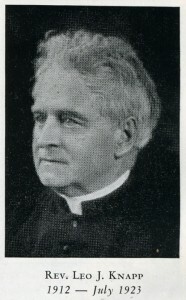 1924 OUR FOURTH PASTOR: Father Flood presided over a period of tremendous growth in the parish during the 1920s and 1930s. In recognition of the growing desire of parishioners for fulfillment of their community as well as spiritual needs, in August of 1929 Father Flood arranged for the purchase of a 70,000-foot parcel of land with dwelling that had been part of the Rice estate for $20,000, doubling the land holdings of the parish. The building on the land served as the Parish “clubhouse” used for a variety of religious, educational, and social events. 1938 OUR FIFTH PASTOR: Rev. Henry Reardon came to St. John’s in 1938. During the depression years, the St. Vincent de Paul Society grew as the number of people in economic need soared. 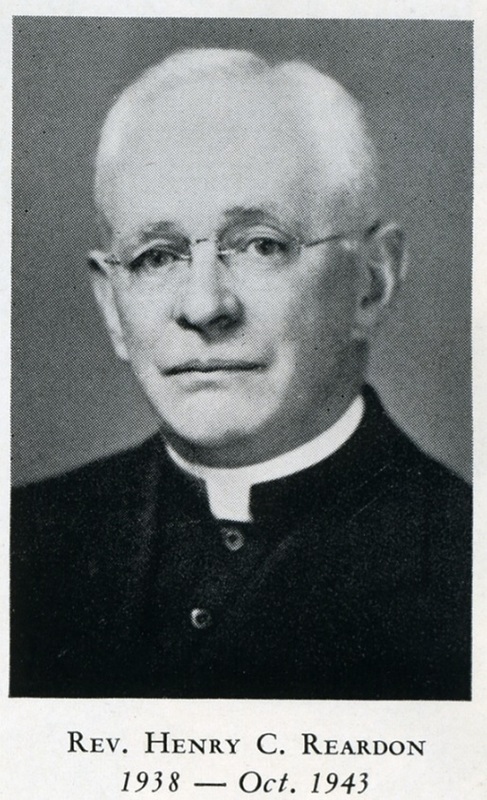 Father Reardon died in 1943 and was succeeded by Rev. John Donegan. 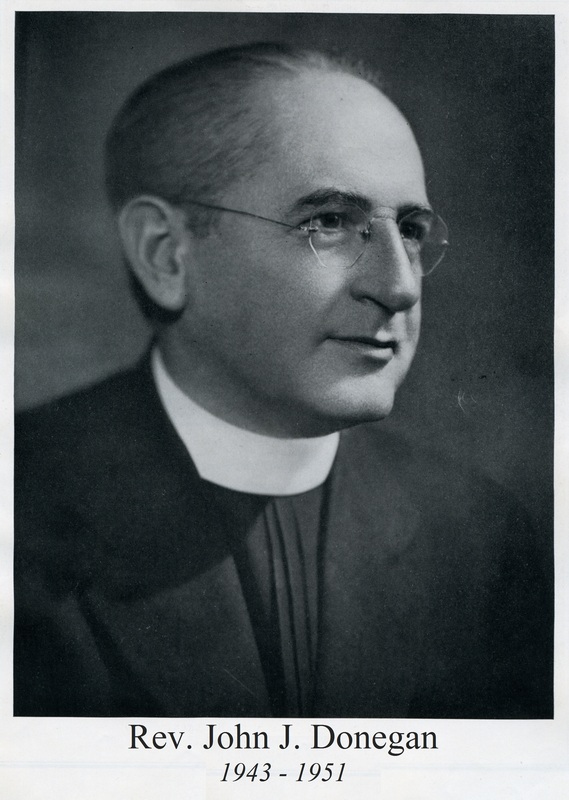 1943 OUR SIXTH PASTOR: Father Donegan had been a pilot in World War I, and it was said often drove his car through the streets of the parish at high speeds. He presided over the parish in what was really the start of a long period of dramatic change, both locally and in the church generally. The baby boom of the post-World War II era was a challenge. 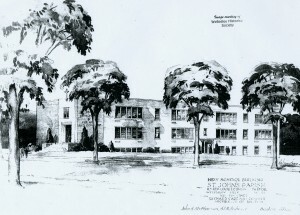 In 1948, a large benefit was held to raise funds for the construction of a new parish clubhouse. The committee included the pastor, the two curates – Father O’Brien and Father Kelly, William Hughes, Leon Kelley, Louis Marshall, Robert McCabe, George Connors, Harold Shea and John Corcoran. 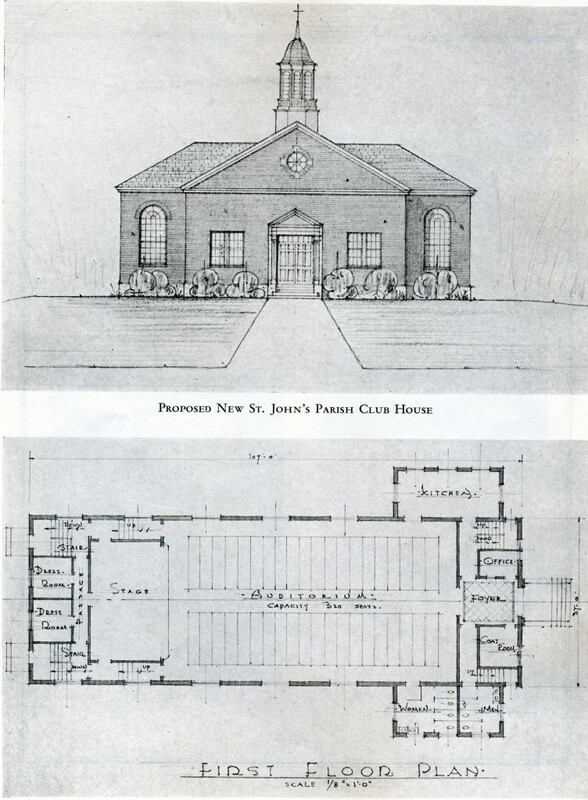 The new facility was to include at the start a gymnasium, bowling alleys, and reading rooms, with “the rest of the Parish Club House to follow in due time.” (Plans showed a 300-seat auditorium with a large stage and “dress rooms.”) Father Donegan passed away in 1951 and was succeeded by Rev. Louis Cunney. 1952 OUR SEVENTH PASTOR By the time Rev. Cunney became the pastor, the parish community numbered 760 families, with a population of children growing by leaps and bounds each year. 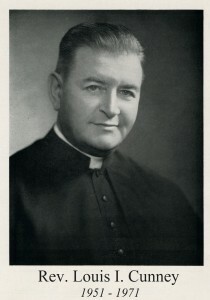 In 1957, Fr. Cunney had the entire inside of the church renovated, adding new pews and stained glass windows. 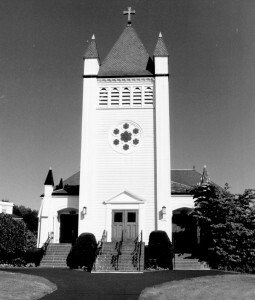 It was at this time that the center stairs and doors to the church tower were constructed. 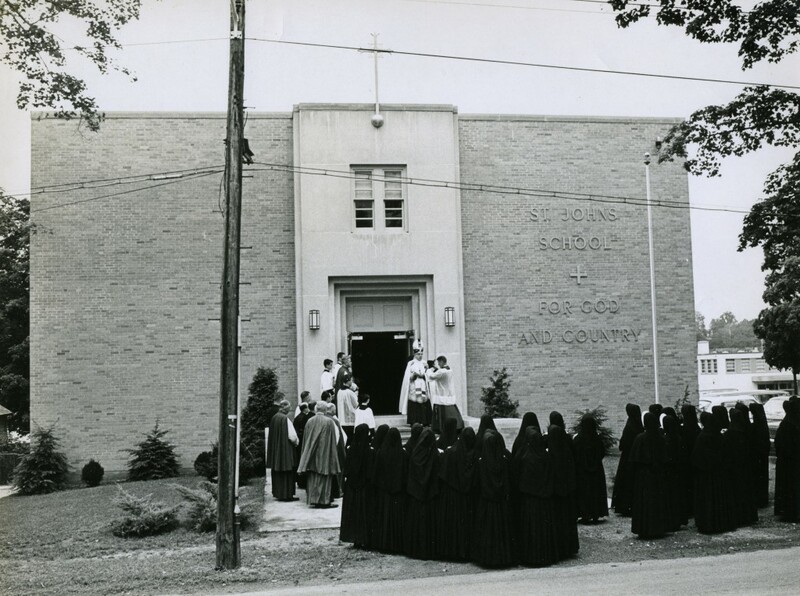 In 1964 the pastor decided a school was needed, so the funds that had been set aside for the clubhouse were used to construct a school and convent, and Saint John School opened in 1965. 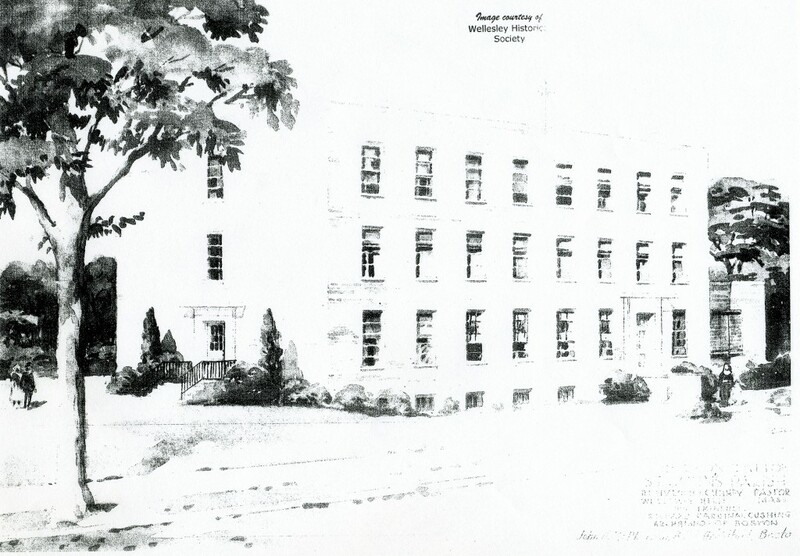 The Sisters of Notre Dame de Namur were invited to teach in the school and since that time have given the school a reputation as a place of academic excellence rooted in Catholic tradition. 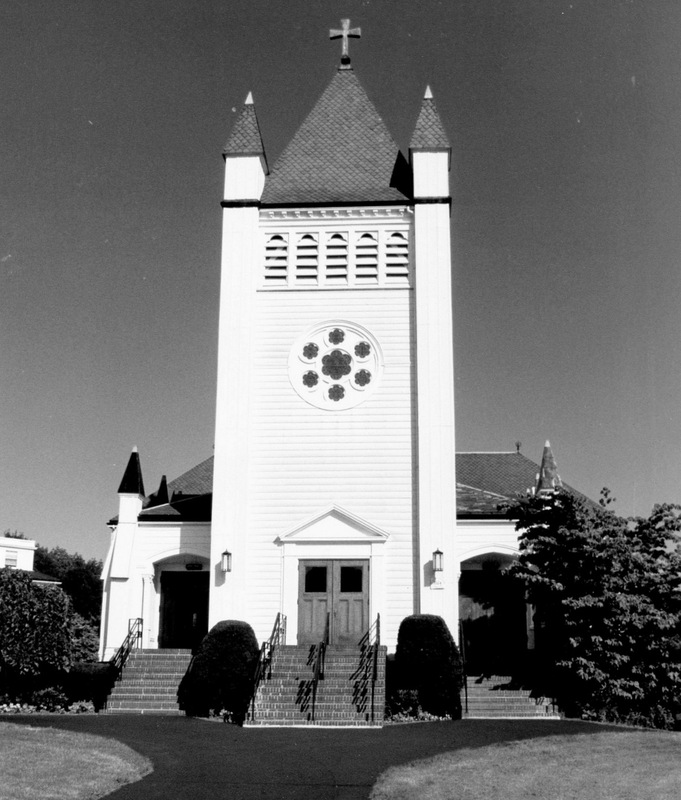 1971 OUR EIGHTH PASTOR: After Rev. Cunney’s death in 1971, he was succeeded by Rev. John Philbin. Father Philbin had been deeply involved in the major transitions that were taking place in the Roxbury parishes, as growing numbers of African American and Hispanic families replaced those of Irish and other European backgrounds. His tenure at St. John’s of 22 years was extraordinary in the way he encouraged the parishioners to assume responsibility for the new ministries that were emerging in the Church. St. John’s became known throughout the diocese as a parish community that was enthusiastically engaged in the many works of the Church. In 1993, it became time for Father Philbin to move on to another phase of his priesthood. His successor, Reverend Thomas Powers, along with the hundreds of parishioners now actively involved in managing and carrying out the various activities of the parish, could look forward to the next chapter of being Church.